Onward – to the Future! This blog post is a long time coming. If you look at the dates, you’ll see it’s been over 2 years since I last posted and a lot has happened and changed for me in those 2 1/2 years. A fall that injured a shoulder and a lot of other old injuries added up. I was massaging less and less. It was becoming more expensive to keep my office open than was profitable. I’ve been designing websites since about 1997, mostly for my former corporate job. I ended up doing more and more of them for massage therapists who needed websites for their practice. After a while, I was doing more web design than massage. Which totally suits me fine because I love web design. It appeals to the geek in me. I started off in the entry level web design market. $500 websites. In theory, they should be quick and easy (for me) to do and I could make enough revenue to pay my bills and live indoors. But the customer base for that market seems to expect fully custom websites for $500 and I just couldn’t make it work, financially. By the way, a semi-custom website price will start at $5,ooo and tops out at several hundred thousand. I’ve also taught blogging for business with my friend Dawn Barclay. We hosted several blog challenges and got a lot of folks started in blogging. Those who have stuck with it have found that it has helped them get clients they want. A few have even started writing for industry magazines. Note: this has been a good thing and I plan to start up again. I’ve also taught business owners how to write their own website copy. 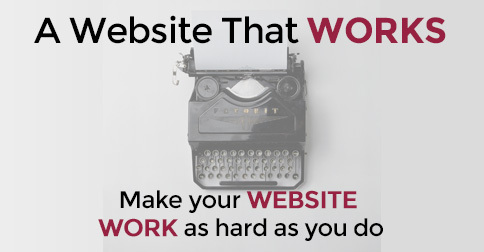 A Website That Works has helped a lot of small business owners get beyond the “Welcome to my website” boilerplate crap and build a website and content strategy that helps them attract the right clients/customers and make a living. Note: this has been a good thing and I plan to offer the course again very soon. I speak at WordCamp almost every year. Speaking at WordCamp is one of the highlights of my year. I get to share what I’ve learned with a room full of people who want to learn. I get to meet some incredibly smart and generous people and learn from them. I sat on a panel last year with 3 people that I admire. I felt like an imposter sitting up there with them, but they are lovely, gracious folks and I had a great discussion with them. What I discovered is that you simply cannot promote and grow 3 very different businesses at the same time. At least not successfully. Even Gary V doesn’t have that much energy. So, I made some decisions. The first to go was teaching at the massage school. I was devoting about 3 hours outside of class for every hour in class and spending way too much time on someone else’s business with no value added to my business. The next to go was teaching live CEs. Finding venues was a pain and after a venue double booked over one of my reservations, not the first time I had a snafu with a venue, I decided I had had enough. I wasn’t going to continue managing chaos while trying not to make my students angry over date and venue changes. After that, I closed my massage practice and finally shut down my online ethics course this year. I haven’t run a blogging challenge or online course for over a year. So, now I’m down to Web Design and I’ve spent the last 18 months concentrating on it. I’ve done a lot of the hard work of reviewing my strategy, client base, the market, the industry trends, and my expanding skill set and passions. I made some decisions. This will be the last blog post on Massage Therapy World. It’s been wicked fun and I’ve met some amazing people over the last 7 years. It seems fitting that I should shut it down on the anniversary of the blog. My first post went live in May of 2010. The last will be May of 2017. I’ll leave this up for a couple of weeks while I sift through the archives. I’ll be taking some of my best business and website posts and rewriting them and republishing them at Pint Sized Sites. If there are any that are specific to massage therapy, I’ll see if I can find another place to guest post, like I have at Massage Business Blueprint. My web design business is now pretty focused on helping nonprofits with their web presence and online marketing. I’m a proud bleeding heart liberal and helping organizations that help people makes me happy. Helping people is why I got into massage and teaching, so this is just the next step in that process. If you’ve got a decent sized nonprofit that whose website is ready for a level up, you’ll find me at kattero. And Pint Sized Sites? Well, she’s getting a makeover. And, yes, I think of that website as a she. Kind of like a ship, ya know? Pint Sized Sites will still be focused on helping new and very small businesses with their websites, but with a change in method. Instead of doing it for you, I’ll be teaching you to do it yourself. When I started Pint Sized and Massage Therapy World, your choice for DIY websites was using the crap site builder offered by your webhost or overpaying someone like Intuit for a crap website. Now, there are some really fabulous solutions out there that do a lot of the technical heavy lifting and will help you build a terrific website. With some knowledge of content creation, blogging, and simple SEO, you can create a website that works for your little business. So, Pint Sized Sites will be the place for how-to articles, in depth reviews of tools, and online courses to teach you to do it yourself. Finally, you’ll still see me teaching at WordCamps across the US. I’ll be applying to speak at a few scattered across the country. If I come to your town, I’d love to see you at WordCamp and we can share a cup of coffee or a glass of iced tea. It has been my privilege and pleasure to write for you, meet so many of you online and in person. If you come along to Pint Sized Sites to learn more about websites for your massage practice (or spa or clinic or CE business), then I look forward to working with you on your success. What the What? Forgive yourself for not budging on your published price? Nope, don’t forgive yourself. You haven’t done anything wrong. If you discount the massage for every random caller, how do you justify charging full price to your regulars? Don’t you think they might get a little unhappy if they find out that you charge them full price, even though they are loyal repeat customers, but new clients can negotiate a different price. How long before all of your clients start negotiating better prices? 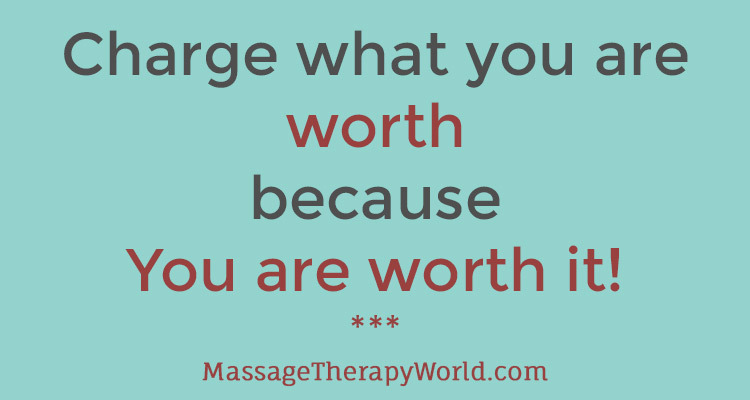 How much time do you want to spend negotiating prices on every massage you give? Not yours. By haggling, negotiating and generally trying to please them, you are making the problem yours. The caller wants a massage. The caller only has $55 to spend on massage. The caller has two choices. What about the aggressive, bullying caller? Oh, you know the type. They don’t just ask for a discount, the demand one. And when you decline, they start pressuring you with insults and accusations. Sound familiar? I’ve gotten those kinds of callers, too. By the time I get off the phone with them, I’m furious and so pumped up with adrenaline I could probably kill and dismember a killer whale with my bare hands*. If you’re one of those people that let these bullies guilt you into cutting your price and scheduling around their needs, I want you to copy down the following sentence and post it next to your bathroom mirror. You are not required to do business with every jerk that knows how to dial a phone. Got it? You can simply decline them as a client. Trust me, there are other people who want a massage and won’t make you feel badly about yourself. When was the last time you had this experience? What did you say? How did it make you feel? Let me know in the comments. * Note to Greenpeace – I would never harm an Orca. I’m actually pretty harmless and very nice to animals. Over at Pint Sized Sites, I insist that all of my clients take care of their web hosting and domain names. In fact, I refuse to register this for them. Oh, I could make extra money doing the web hosting, but I don’t believe it’s in my customers’ best interest. It has value. It is as much a part of your business as the name, the logo, and the client list. You should always be in control of your domain name. Never let anyone else register it for you. If you ever decide to sell the business, the domain name is a part of the assets included with the business. Unfortunately, too many small businesses don’t understand how important this is. They are intimidated or tech averse and would rather let their web designer handle it. Next thing you know, the web designer has closed the business, retired, moved to Costa Rica, or just decided to never return your phone calls. In the last several years, I have gotten several clients who have found themselves in this situation. Do I buy a domain name? Another great question. No, you LEASE a domain name. A lot of people forget that and then the lease expires and they no longer have the domain name anymore. Not cool. Put a reminder on your calendar to make sure you renew. If I lease the domain name, who do I lease it from? ICANN is in control of domain names and has a big database of all the registered domain names. They are very careful about not letting just anyone call them up and asking them to change the lease holder on the domain name. If they weren’t, I would have already contacted them and gotten possession of google.com, microsoft.com, yahoo.com, and whitehouse.gov. That wouldn’t be cool for those companies, would it? That’s why it’s difficult, on purpose, for you to get your domain name back from your web designer without their help. How do you transfer the domain name from your designer to you? Step 2 – Open up an account at NameCheap.com or GoDaddy.com. Personally, I use NameCheap but most of you have heard of GoDaddy. The pricing is almost identical. These companies are both Registrars. They both have instructions and help lines if you need help setting up the account in anticipation of getting the domain name transferred. Ideally, that should do it. What if your web designer disappears, dies, or refuses to transfer the domain name? I’ve had clients live through all 3 of these scenarios. It happens. Unfortunately, resolving this is neither easy or simple. Given that ICANN is the internet equivalent of the Illuminati, it’s not like you can just pick up the phone and talk to someone. Your best bet is to start with the registrar your designer is using. Proof of business/tradename registration in your state, city, etc. All of it. Receipts proving that you paid for the web design and paid for the domain name. Any contracts supporting that the domain name is for you. GoDaddy will review your form. He estimated that it would take about 5-10 business days for them to approve or deny the request. That’s not really all that long, but it will go faster if you submit all your supporting documentation with the request. If you’re not with GoDaddy, just call that registrar and talk to their nice support people. I can’t promise you’ll get A Wonderful Dude named David, but they should be pretty helpful. What if you don’t know the registrar? Well, now you have to go to ICANN. Like I said, there’s no phone number to call, but there is an online form you can submit. I’m sure it will take longer than 5-10 business days, but there isn’t any real data from them on how long it will take. This is all so confusing! I can’t handle this! That’s cool. Just contact me. I’m for hire. I’m also just here to answer the occasional question for free. So while it’s not easy or simple to transfer the domain name, it is possible. I’ve seen it done. It takes time, patience, paperwork, and sometimes an attorney, but it can be done. Have I answered your questions? Is there more you can think of? Hit the comment box below and I’ll do my best to find you a good answer. * No there won’t be a quiz. Do you think I have time for quizes? ** You can always contact me for information on hosting stuff. Or hire me. Really, I’m not above asking for your business here. *** For all of my public grousing about GoDaddy, one thing I will always compliment them on is their tech support. I’ve spent many, many hours on the phone with their support people and they are unfailingly polite, helpful, and sometimes really sweet.